A high school whose educators are working toward helping students prepare for the future. Reading, writing, arithmetic and character education are their tools. 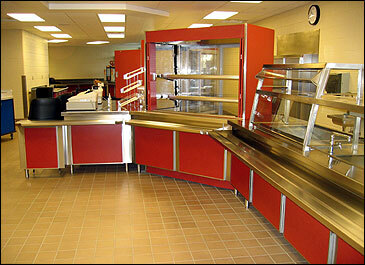 PFDI worked with the high school to develop a cafeteria that would function smoothly with lines that are organized and move quickly. The cafeteria staff was given back up capacity directly from the kitchen to the serving area to make restocking entrees fast and convenient.